The Greater Minnesota Housing Fund has big plans to invest millions to preserve affordable housing across the seven-county metro area. Greater Minnesota Housing Fund was granted $3 million Tuesday from the Hennepin County Board of Commissioners they will use to continue to build a $25 million fund to help keep people housed. 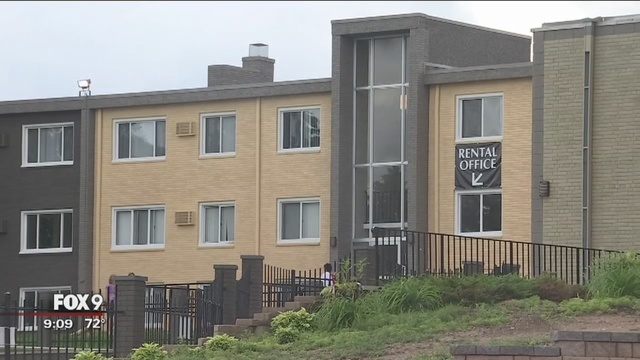 The preservation effort is particularly mindful of those on section 8 or rent subsidy vouchers like Merche Banks, a single mother from Richfield, Minn.
“As a person I felt violated,” Banks told Fox 9 of receiving a notice to vacate on May 27. Banks has lived at Crossroads Apartments, now known as Concierge Apartments, for the past eight years. According to reps at the Greater Minnesota Housing Fund, investor Ron Soderberg acquired Crossroads Apartments seven months ago. As a result Banks says her rent was raised by at least $150 and Soderberg will not accept rent subsidy vouchers, including Section 8. “Without that housing subsidy I would not have a place to stay,” Banks explained. After the acquisition, 650 households at Crossroads Apartments were given notice of a rent hike, and 135 were given walking papers. View the television coverage at Fox 9 News.